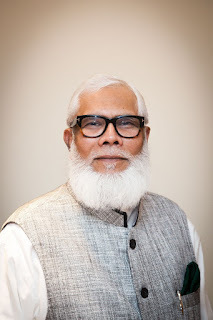 Salman Fazlur Rahman MP (born 23 May 1951) is a Bangladeshi industrialist who is also a member of the Jatiya Sangsad. He was ranked 1685th on the list of billionaires in the world published by Beijing-based Hurun Gobal in 2017. He is the current vice chairman of Beximco Group, one of the largest conglomerates in Bangladesh. Since 2009, he has been serving as the private sector development affairs adviser to the Bangladesh Awami League President Sheikh Hasina. Currently Rahman is acting as the president of several trade bodies including Association of Television Channel Owners (ATCO). In 1966, Rahman and his elder brother, Sohail Rahman started a business by running their family owned jute mill. The government nationalized the mill in 1971. They established the Bangladesh Export and Import Company Limited (Beximco Group) in 1972 and started exporting seafood and crushed bones to the European countries and import medicines in exchange of the exports of seafood and crushed bones. In 1976, Rahman brothers established Beximco Pharma. Later on, this company was listed as the first Bangladeshi company at the London's Alternative Investment Market. The company is listed in Aim of London Stock Exchange and also accredited by many foreign regulatory authorities including the US FDA for its export operations. In 1982, the brothers partnered with the Dubai-based Galadari Brothers Group to establish the AB Bank. In 1985, he sold his stake to the other partners. Subsequently, the brothers bought 30% stake in IFIC Bank. Rahman became chairman of the bank in 2010. He owns the English Daily The Independent and the Bangla News Channel Independent Television. He is also the Chairman of the Board of Editors of the Daily Independent. Rahman headed the Federation of Bangladesh Chambers of Commerce & Industries (FBCCI) from 1994 to 1996\. He is a director of the Bangladesh Securities and Exchange Commission and Dhaka Stock Exchange. Currently Rahman is acting as the president of Association of Television Channel Owners (ATCO) and LPG Operators Association of Bangladesh (LOAB). He is the chairman of the Board of Governor of Bangladesh Enterprise Institute and the sporting club Abahani Limited Dhaka.